Achieving a career in Hollywood might be a dream for many, but it's not a challenge for the faint of heart. Part of the problem is that there's a massive amount of competition out there and everyone is looking for the same job. The good news is that this is one of those areas in life where persistence tends to pay off. More often than not, it's the person who doesn't give up who eventually manages to get a job in Hollywood and keep it. If you think you just need a degree from a topnotch school or that you must know someone in the business to get a foot in the door, think again. Neither of these things is guarantees that you will work in film or television. Your desire and ability to prove yourself is what will ultimately get you hired or fired. That said, there are a few things you can do to up your chances. As ugly as that sounds, it's absolutely essential that you be willing to work either for free or for a very low wage. Those who are financially able to do so should be able to get a position with most film and television crews relatively quickly. These positions are often entry level, but it's an "in." You'll have an opportunity to meet others in the business and you can learn on the job. Many of these "free" jobs quickly lead to full-time careers. Hollywood is full of egos and it doesn't need one more. You'll find that most people will be a lot more receptive to helping you if you check your ego at the door when you come to town. You might find that your ego comes in handy someday later on—but only after you've mastered a few of the Hollywood ropes. Otherwise, it will just get in the way. Spend some portion of every day doing something that helps you get to where you want to be. Meet people, make calls, send letters or e-mails—do whatever it takes to move forward and do it without break. Many of the jobs you'll have to commit to in Hollywood—like those "free" ones—will be less than glamorous, but they'll be full of opportunities. Seize these opportunities as they occur. If you're sent off to copy scripts, make an extra copy so you can read it yourself and learn something. If you're forced to field calls for your boss, he may let you listen in when he takes one, so grab the opportunity to learn by listening to what's being said. You're going to come across dozens—if not hundreds—of different types of jobs in Hollywood. Many will be positions you wouldn't dream of taking, but those who are doing them might actually enjoy them. Keep your disparaging opinions to yourself. Although it might seem unlikely, the one guy you ridicule for his job might be the one guy who could have helped you get ahead. If you're looking in the classifieds section of your local newspaper or on career sites like Monster.com, chances are you're not going to have much luck. Most production jobs are never advertised. People are often hired by word of mouth and through pre-established relationships. This is why it's so important to get to know as many people as possible as soon as possible. You might find a few jobs in Variety or in The Hollywood Reporter, but in all likelihood, you'll have to track down available jobs on your own. 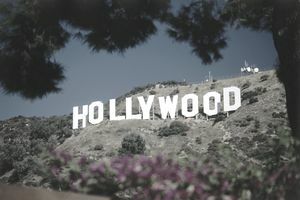 You might want to steer clear of "Hollywood Job" websites that charge monthly fees because, unfortunately, many of the jobs they advertise are filled before the listing even goes up. Besides, even if the job was still open, no production person has the time to sift through the hundreds upon hundreds of resumes that a service like this would generate. They want to hire the best person for the job and more often than not, that person has been identified by someone else already on staff. Believe it or not, getting a job in Hollywood is not impossible. Becoming a great director, writer, makeup artist, electrician, agent, or executive all starts by getting out there. Meet new people, take the low-level jobs, and take a few classes. You could be on your way to the top before you know it.